After upgrade it work perfect so far. Well more difficult than that it should not have to be, but I have tryed just that and it not helps. How do I get the latest? Can I uppgrade at your website? I made a small video showing you what I did to get the connection. However it possible that when you displace or enlarge the newel that suddenly cutstrings are disappearing. This is because the newel is cutting through a step from front to back. This creates that problem. Ness can surely give you more information on this if this is reported as a bug or not. I have now spending hours to find out. 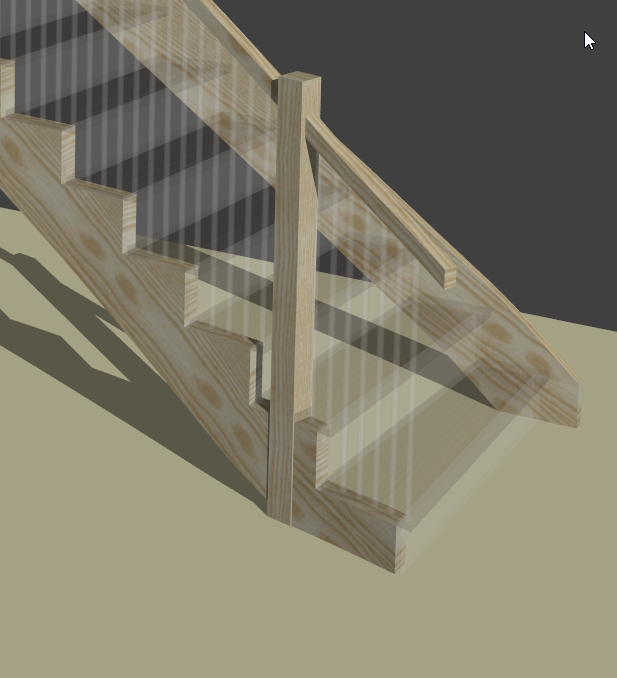 I have also tryed to make a new stair whith same measure. And I do not delete anything but after measures i click in cutstrings and then posts. Wen I click in handrails some of cutstings dissapear. I have tryed several times. So I wonder…. is it some problem with my softwear??? I bought it in july 2016 with reduced price. It can not be so difficult. I am working in original. Now I changed back to 50 mm over hl. Still the gap. 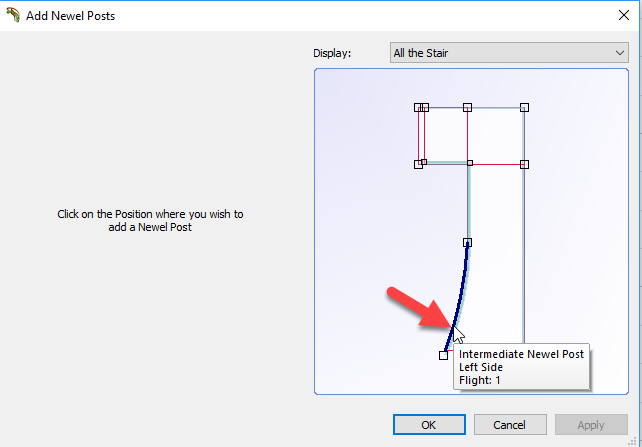 even if I shift post 5,6 reference axis betwen automatic and handrail. and if you see in 3d this two posts are verry low under the handrails. 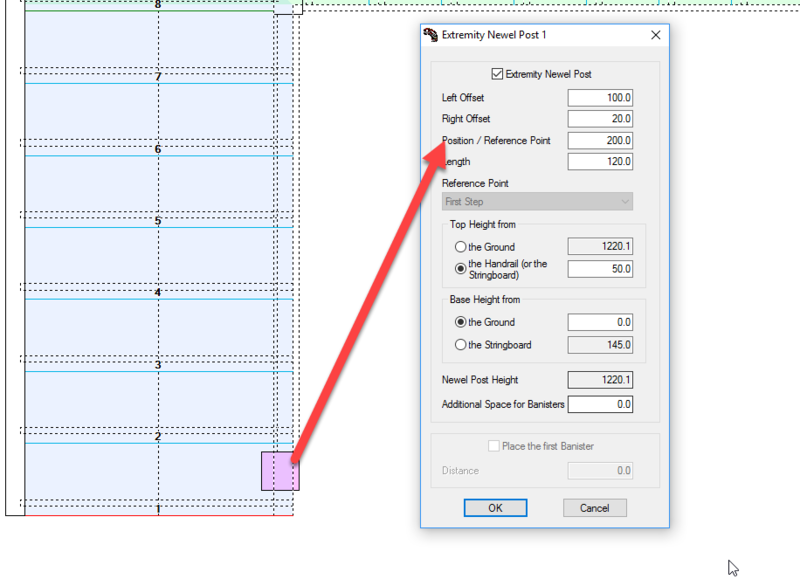 in the tab view on top of the screen you can choose display handrails. I wonder if you opened the file I send you or are you still working of your original one ? Can you tell me which changes you did ? Again I see a much too high newel above the handrail in the settings. 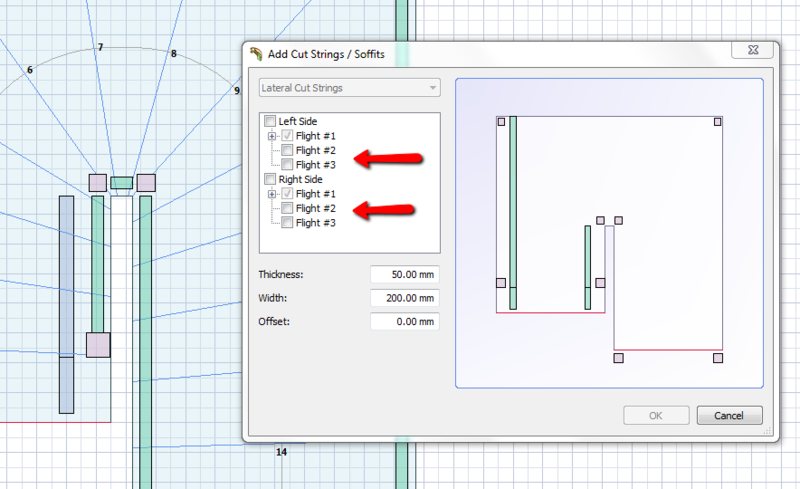 Newel 5 reference axis is on automatic and newel 6 on handrail. Change newel 5 to handrail and it will connect correctly . 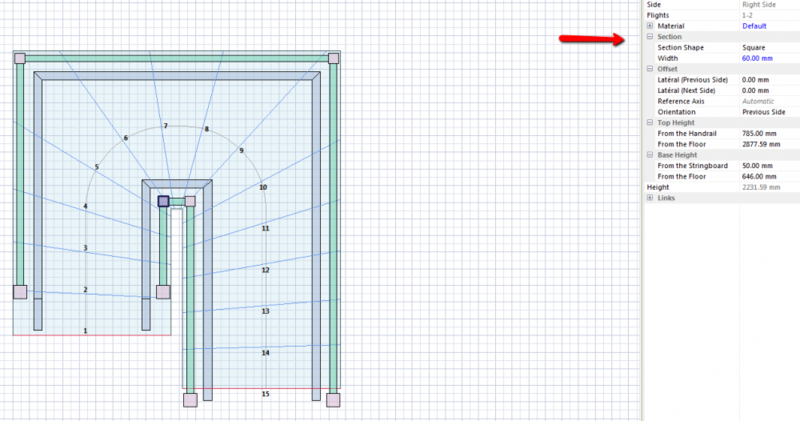 Then change the top height of the newels to correct them. I wonder were these high values of top height are coming from. Did you set them ? How do I see handrails in 2d? Yes I now that but how I do I still have gap betwen posts and handrails in inner curv. Thats how it looks in 3d. somehow you made some changes that created this . Some cutstringers were deleted. 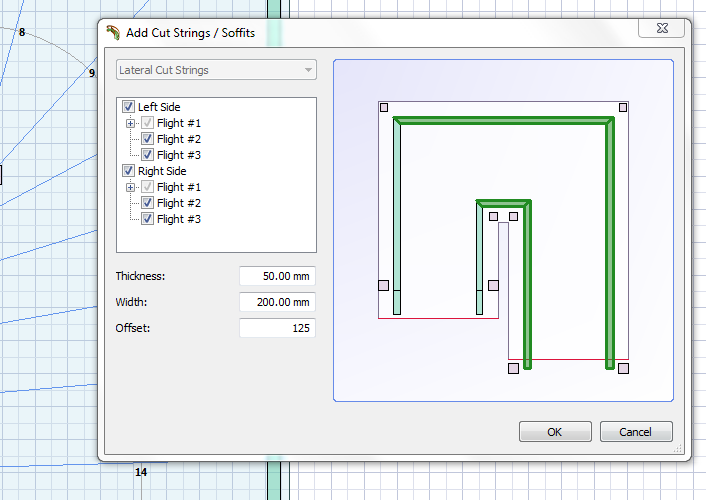 When I added back the cutstring it was all connected again. well it seems to not fit. I have problems with newel post 5 and 6 or it is problem with the inner handrails. It iooks like handrails are shorter beacuse the newel posts no 5,6 are smaler than 1,2. Can it be like that? Cant I have difrent size of posts? 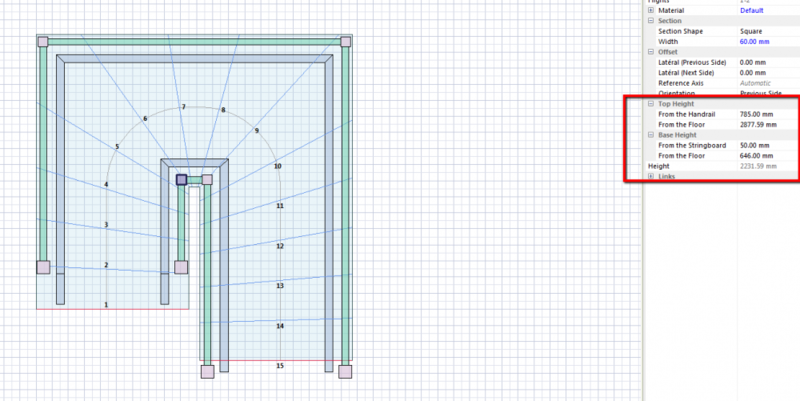 Post nr 1,2,7,8 are 80×80 mm rest is 60×60. 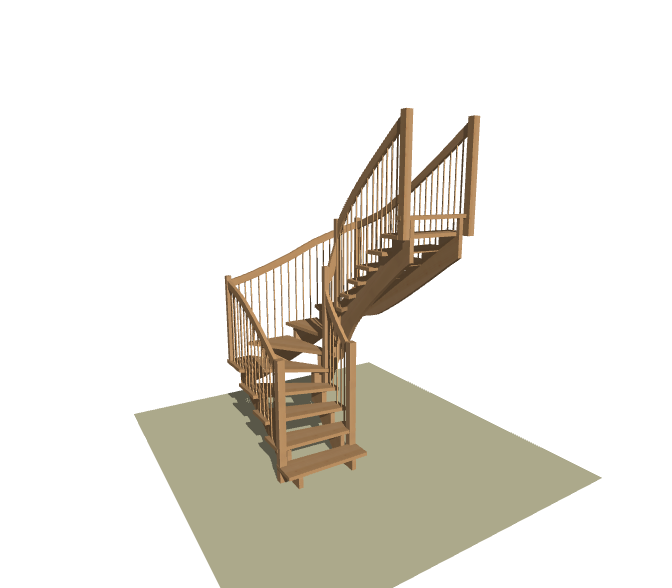 I have try to change on newel references tohandrail and to automatic but its not helping me. I hav also manual take the topp hihger then 50 mm over handrail, but probebly that is beacuse they not conecting. If you can show me like Ness did erlier with links in this topic. Can you say why inner curve with handrails and posts are not together? And also why posts are not high enough even it says they are 50 mm over handrails. 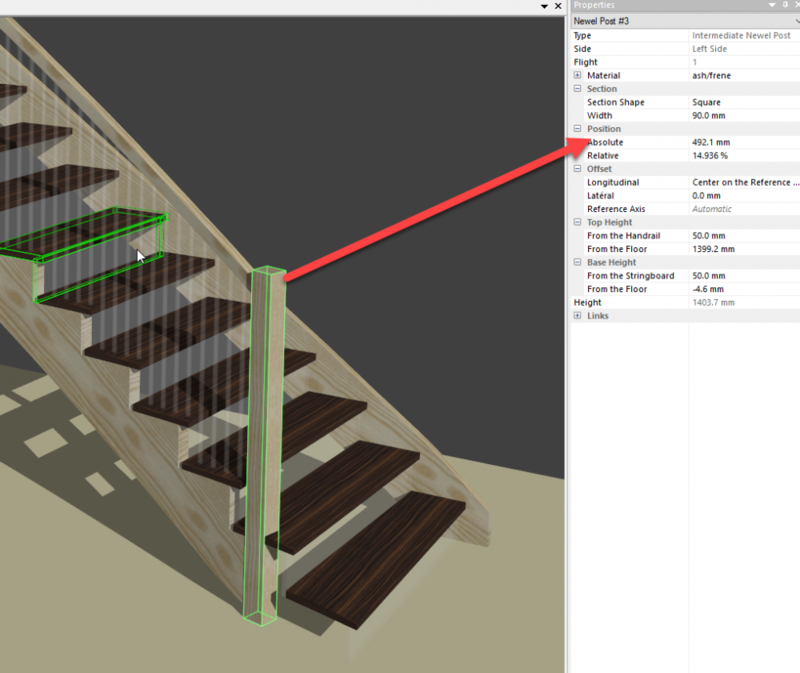 in StairDesigner 7, in the plan view, right click and choose “add newel post”. 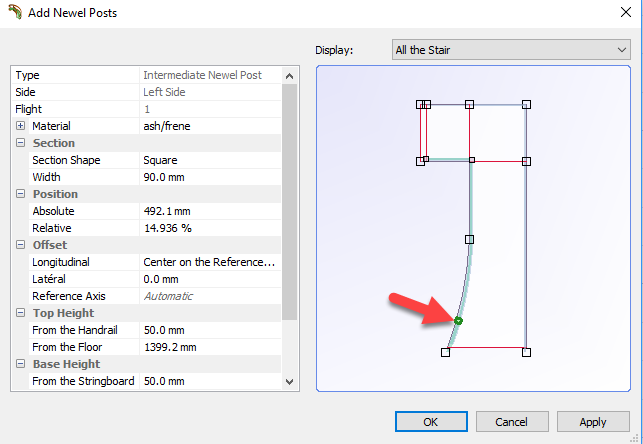 StairDesigner will add the post and you can set it’s parameters. How do I do if I want to move a newel post from step 1 to step 2 or a fixed distans for example 300 mms from the start of the stair?